Ok, so I can't find anyone that makes a 48" wide windshield frame (I have a hillbilly buggy). 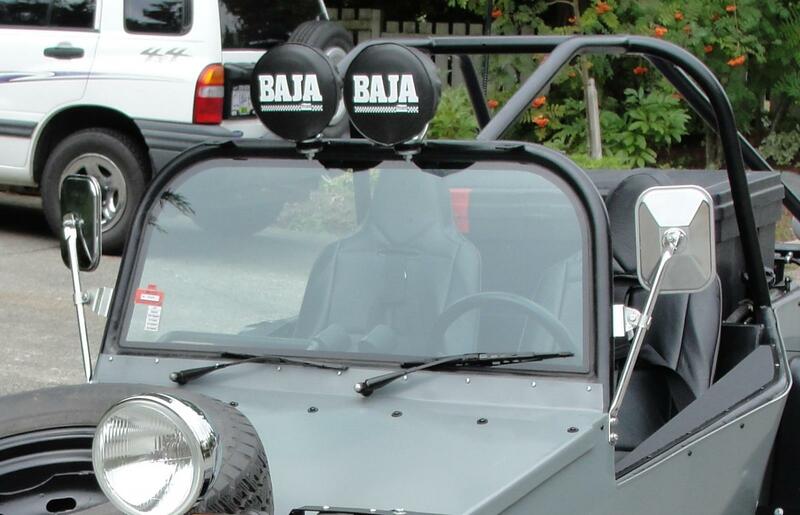 I have one that is incorporated into my hardtop but I want a standalone shield for the summer. Has anyone had any experience in making thier own frames? What have you used for materials? Steel, Aluminum? U profile or Angle Iron? Tube with tabs to hold the glass? I have no problem in getting laminated glass cut to size, but it seems like there are many ways to build a frame. Maybe someone knows of a local fab shop that does this kind of thing for not too much money? ? 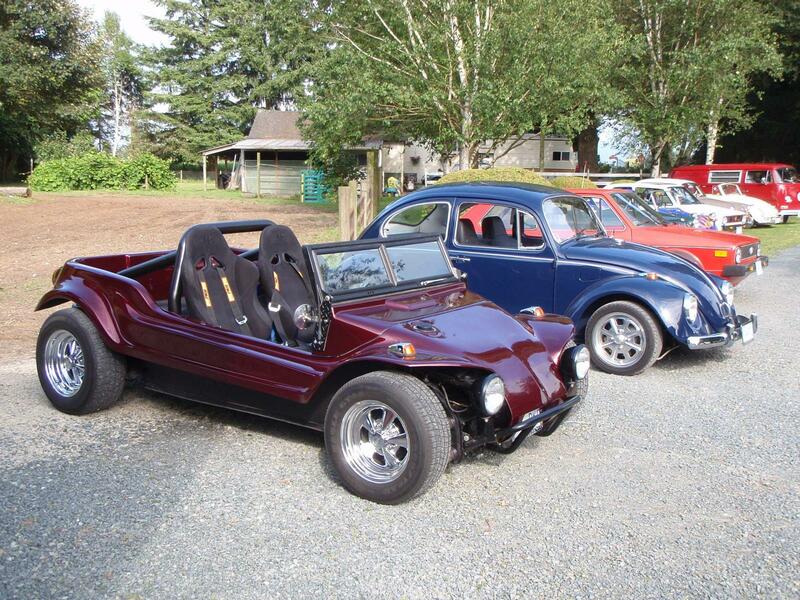 I suggest you seek some advice from the Kit Car/Fiberglass Buggy forum on the Samba. I would include a picture of your buggy dash area where the windshield would be located. A search of that forum would also likely bring some results. If you posted a picture of your buggy I may have an idea as well. If you posted a picture of your buggy I may have an idea as well. The dash is a separate piece to the body but I think there's enough depth on the sides to bolt a windshield onto it. I just don't want to cut up the hardtop. So there is no way to separate the windshield from the roof and have it as a stand alone? At some point they must have been separate. If no, I would recreate the windshield. Probably easier than building a tube frame assembly and incorporating a windshield into that. How stable is that dash area such that it would be able to support a stand alone windshield? It may need some work. Is a roll bar in the future? I suppose it's possible to separate the windshield from the top, but I'd like to be able to have the possibility if running with the top at some point as well as a standalone shield. I suppose I could recreate it in fiberglass, BC buggy tours have the same model.shell as this and they have done something similar. Dash is solid, and I have thought about doing glass in a roll bar, but not sure if I'm going to do a full cage, maybe just a rear hoop. hmmm, that is a very interesting solution. Never occurred to me to do that, thanks. It is not hard or difficult to have one made up. and doing that means you can get the rake and height you want. Steel or aluminum tubing bent to the size you want and either secured down the side of the dash or on top of it. The dashes in these were generally really thick. Then they weld a small flange or flat bar around the hoop to mount the windshield to. I did have a couple of old aluminum frames from the Hillbilly. haven't seen them in a long time but I will look around and see if they are still in the shed. I appreciate that dude, thank you. After thinking about it for a few weeks, if I can't source one I will probably get a tube bent to size, cut a slot on the inside to slide some glass I to and do what you said with welding some sort of flange on. I assume the glass NEEDS to be slotted inside the tube for safety as just sitting on the inside of a hoop bar with even with urethane will not be super safe? you weld a small flange around the inside of the roll bar and attach the windshield using a universal windshield rubber. That will hold it in place tight and it wont move (as long as the bar is solid). google universal windshield rubber if you haven't seen it before. many different styles but they all do the same thing. I welded a 5/8" flange around the center windshield in my buggy. Originally I was going to use the universal rubber and glue the corners but I landed up glueing it in with the hi tech glue that is used on all the modern cars. The rubber, if you choose that is available at Speedy on Dewdney Trunk in MR.
ah yes, I do know what you mean, I've had a few older vehicles with windshields that have this rubber gasket, you have to "rope" them in. do you have any pictures of your buggy's windshield? I work in a bodyshop which is icbc glass express certified so I have a decent supply of windshield urethane. This is about the best I have. I think the flange was actually 1/2". Just bent it around the tubing and tacked it into place. Glass shop actually painted a 1" strip around the inside of the glass to hide the glue. What size tubing did you use? This is actually a street legal rail buggy. 1.5" tubing. Chopped and narrowed older Land Rover windshield frame. that is really cool, looks like it flips down aswell!